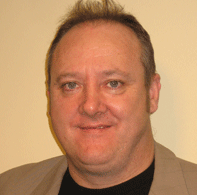 LONDON – City Theatrical named Alex Cowan European sales manager. He will be based at the company's London office, building the City Theatrical distribution network in Europe and helping customers to get the lighting accessories they need. Cowan comes to City Theatrical from Pixelrange where he was the international sales manager, covering Europe, Eastern Europe, Middle East, and South Africa. Prior to that, he was new business executive for HSL in Blackburn. For more information, please visit www.citytheatrical.com.